Hi guys, welcome to my blog, Carlos here. I'm going to show you how to make a really wonderful mulled wine, full of wonderful spices and perfect to serve up at Christmas time during this festive season when you've lots of guests coming to your house. It is so simple to make and it starts off by making a little syrup. First thing for this brilliant mulled wine, you start off with some caster sugar, in a pot, in on top of the caster sugar i've got the zest of some clementines, some lemons and some lime, it's going to add the most beautiful citrus flavour in here. That's all our zesting done, and check it out, in here we've got the most beautiful little mixture of citrus peel and sugar and you need those big chunks, it's really important because that's going to add lots of flavour. And now we need to get the juice in there as well. Grab those lovely citrus fruits, and they do look a bit miserable right now but we're going to cut them in half and we're going to get all of the juice out of them. We've got the juice, we've got the zest and now it's time to get this over a medium heat, and then we're going to add in some spices. First up, one cinnamon stick. This is the one to use, you will get lots of great flavour from it. Just crack it up and stick it in. Big punchy flavours from six cloves going in here as well. That wonderful aromatic hum from three bay leaves going in here as well, and then you need the gratings of one nutmeg. It's about twelve gratings, you need to go back and forth and get it in there because it adds so much great flavour. It smells like Christmas already. And now to make my mulled wine even more special, I'm going for that wonderful floural scent of vanilla pod, so get a whole one, cut it in half, straight into the pot. Top it up with some red wine, just until it covers the sugar and then allow it to dissolve down and what I want to do is infuse all those wonderful flavours and essentially make a really nice fragrant syrup. Then I'm going to top it up with the rest of the red wine, meaning all the alcohol hasn't burnt off and you still get that really nice hum to your mulled wine. Then I'm going to finish it off with some star anise and we will have a milled wine that is to be proud of. You need to bring this to a nice boil and bubble away until all that sugar completely dissolves and let me tell you, it already smells like Christmas in here, so, so good. Keep the pot on a rolling boil for about 4-5 minutes until you have a nice thick syrup, and then it's time to top it up with some more red wine. Ok guys, come in here and check this out, because what I am left with is the most incredible thick syrup which has been infused with all those wonderful spices. Add in the remainder of the two bottles in here. And I'm using Chianti here but any good Italian wine will do the business for your mulled wine. In with that last bottle of wine and my final spice, just to add at the last minute so you really get the taste from it, is two whole star anise, which is going to add that wonderful anise flavour in here. Get them in and stir it through. Leave this on a low heat for five minutes and once it's infused with all those great flavours it's ready to serve. My mulled wine has had five minutes over the heat to infuse and warm through and now it is ready to serve, and it really does smell good. I mean, have this in the kitchen around Christmas time when you have guests arriving. It is going to smell so good. It's going to make your house just smell like Christmas, and everyone wants a bit of that. The great thing about having a big pot like this is that you can put it straight back on the heat, leave it like that and people can come in and help themselves, I love that sort of thing around Christmas time. Now, all that's left to do is taste and tell you what I think. Oh guys, this is Christmas in a glass, it is so good. You get this wonderful rich taste from that citrus fruit running which smacks you around the lips and then you've got this really super aromatic flavour from the cloves, the nutmeg the vanilla, the cinnamon, the bay leaves. It is so good, I want you guys to try it. 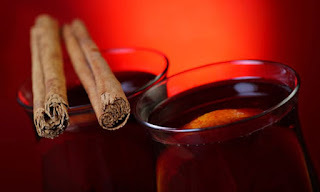 If you want more Christmas recipes from this blog of course, Guys, have a Happy Chistmas! We are Ranked #1 in Google! "What a great, original idea for a blog. Very informative. I will definitely forward your link to my wine loving, wine tasting friends. Keep up the great work." "I really like this site. Mainly because I have always been interested in making my own wine. 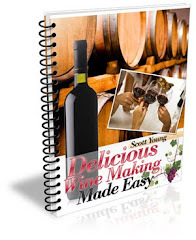 I like the information you provide about making wine and the site loaded very quickly." "Wine making, my family makes wine like you write about with lots of love. Your site is very nicely put together and your writing is so easy to read. Your photos and art are visually comforting. Congrates"
"Nice subject you chose, I love wine, had already bought a book about wine making but always love to read more. Your blog design is good but I suggest that you change from Spanish to English since not everyone understands it and you have to attract traffic from everywhere. I left you a comment and subscribed to your blog." 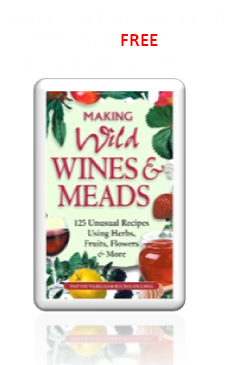 "Nice blog, lots of articles about making wines User friendly, easy to navigate. Would be much better if you use a much nicer template. Worth visiting."